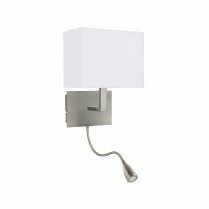 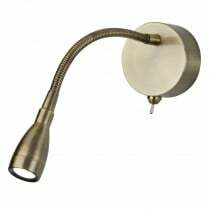 The 9851AB is an updated version of Searchlight 9850AB swing arm wall light which has been designed to take dimmer compatible LED bulbs. 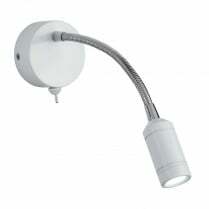 The 9851AB requires a single R7S dimmable LED strip bulb (not included) and is fully compatible with a dimmer switch. 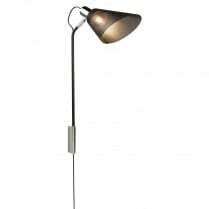 Please call to check the availability of bulbs. 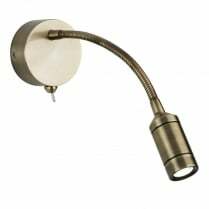 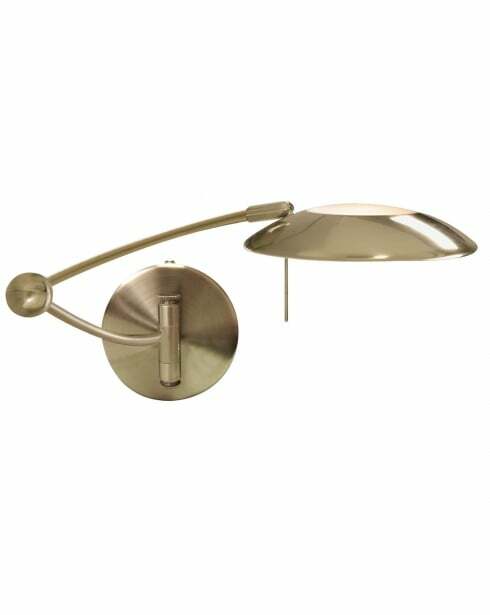 The 9851AB is mounted on a hinged swing arm for ease of adjustment and is finished in antique brass. 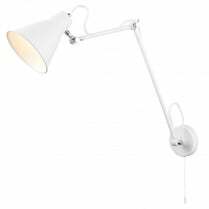 The 9851AB has a height of 13cm, a width of 15cm and projects 50cm from the wall when fully extended.